We started with a simple philosophy, provide the most appropriate product, at the best rate, with the best possible service. We planted roots with those philosophies and have continued to grow from them, while maintaining a deep appreciation for our past. Bouchard Insurance was founded in 1948 by Roger Bouchard. He opened a one-man insurance shop in a storefront he rented in downtown Clearwater. The agency saw tremendous growth during the 1950's and 1960's resulting in three moves in Clearwater. In the 1970's Bouchard went through several mergers and acquisitions which grew the company to 5 offices in Pinellas County. Eventually the satellite branches in Pinellas County were consolidated into one Clearwater location and moved into the current Corporate Headquarters on Starcrest Drive in 1988. 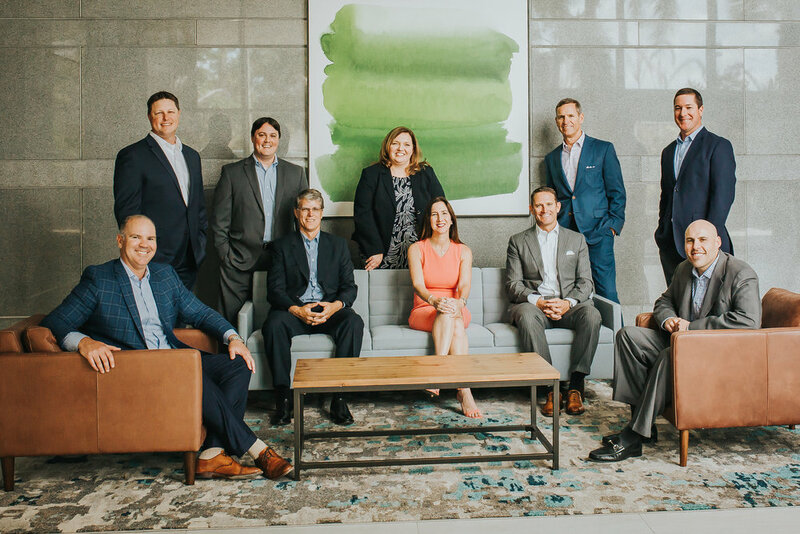 In the early 2000's, Bouchard purchased several agencies resulting in the opening of the Kissimmee, Maitland, Sarasota, and Ft. Myers offices. In 2017 Bouchard opened its sixth location in Tampa. Bouchard Insurance specializes in both commercial and personal insurance and is focused on creating an organization-wide Client First approach. Our commercial insurance division specializes in a consultative approach to business insurance. From the entrepreneur to the large company, we have teams that are skilled in placing the most appropriate insurance products with our client's specific needs. As a result of nearly 70 years of experience in providing business insurance, we have developed teams that cater to specific industries and their unique exposures. While not exclusive to them, some of the industries we have dedicated teams serving are agribusiness, community associations, construction, education, healthcare, hospitality, PEO/Staffing, and Social Services. Our personal lines services range from individual home and auto insurance policies, to total portfolio management through our Private Client team. Bouchard strives to maintain an organizational structure that inspires industry top talent as well as promoting insurance as a career path for future generations. We pride ourselves on being a learning organization and continuing the education of our employees throughout their career at Bouchard. We have two training programs, sales and service, that offer intensive training for individuals who wish to grow their career in the insurance industry. So Why Bouchard? We believe it all boils down to our company culture. We’re a company that people like working for and with.